On popular demand, now we have provided an option in your favorite practice lounge to save a question to review later. When practicing a question in Practice Lounge look for this button. Click it to save the question as your favorite and you can review later any time. You can review all your favorite questions any time on simplylearnt.com. Just visit the following page. 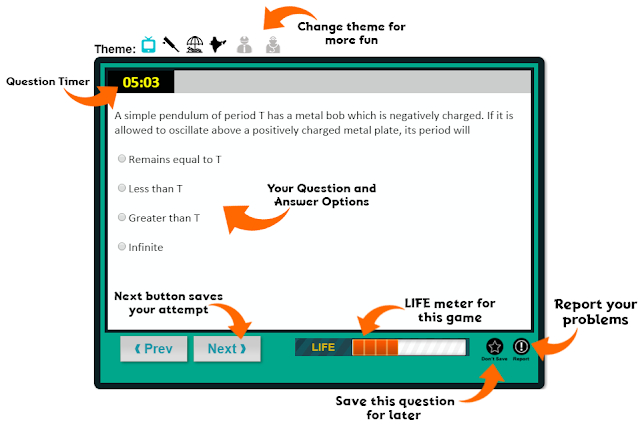 Practice lounge is the coolest app on SimplyLearnt.com where students spend more than an hour each day during their exam time. It comes with a doubt solving feature and complete solutions. It is not time bound so you can spend as much time as you like. Practice Lounge comes in many interesting themes like cricket, patriotic, summer themes etc. Here's a quick look of the app.